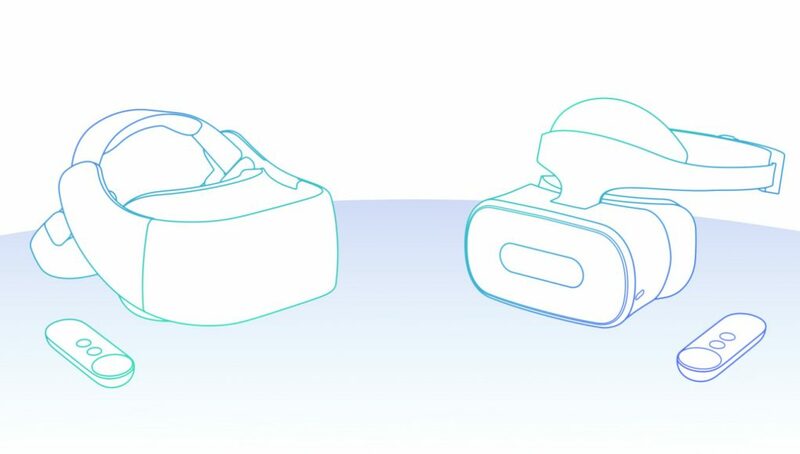 Daydream-compatible standalone headsets are coming, revealed on stage at Google I/O yesterday, but the big question remains: how much is one of these inside-out positional tracking headsets going to cost? Google tells that although prices are dependent on the individual manufacturers, they expect it to cost about as much as a PC VR headset like Oculus Rift or HTC Vive. Being able to pull a singular, bespoke VR headset out of a backpack—with no added wires or sensors—is pretty awesome, but the addition of inside-out positional tracking, or the ability to physically move your head forward, backward and side-to-side, is an even bigger step for mobile VR. We sat down with Google’s VR team at a press briefing to learn more about how much the convenience (and immersion) was going to cost. This falls in line with what we’d expect, considering the guts of a standalone headset need to pack as much as (if not more than) the graphical horsepower of a VR-ready flagship smartphone like those already taking part in the smartphone-focused Daydream program. In any case, running acceptable frame rates while tracking the world around you in real-time didn’t exactly sound cheap to begin with. For reference, the Oculus Rift when bundled with Touch costs just under $600. 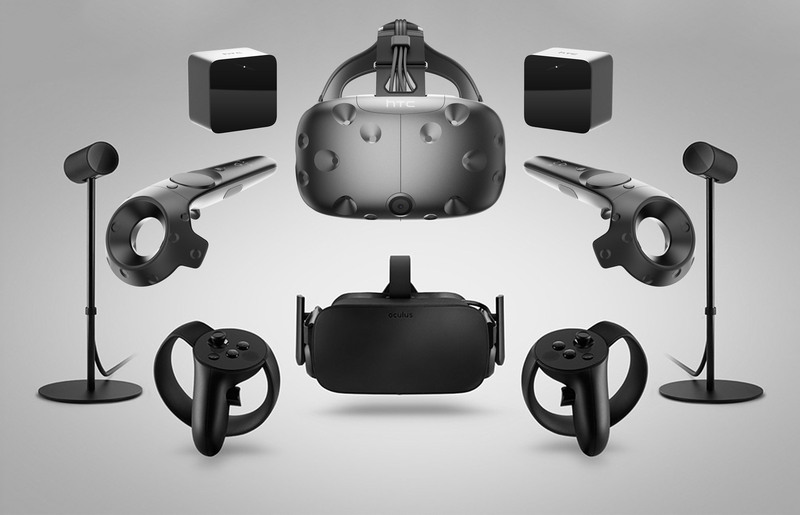 HTC prices the Vive at the higher end of the spectrum at $799 for their PC VR system. There’s no telling which end of the price spectrum the first two headsets, made by Lenovo and HTC, will take. HTC maintains their standalone headset will launch sometime later this year, so we’re sure to get a better idea closer to launch. This of course doesn’t include the startup cost of a VR-capable PC, which although cheaper than ever thanks to software updates and cheaper GPUs from AMD and NVIDIA, is still a pretty large investment. Makes sense. It is a rift/vive + a processor and cameras on board. I hope its closer to the Rifts price point. I’m probably missing something here, but who is this for? If you are an enthusiast you’re probably going to go with the full pc/vive/oculus setup, if you are casually interested then just get daydream compatible flaghship phone for the same price. If I understand the article correctly this is for someone who doesn’t want to buy/upgrade a VR capable PC, does not want to buy a new phone but does want to spend $600 on a standalone VR headset that has some additional tracking abilities. That sounds like a pretty small market to me. Not to me. It sounds like the market for BluRay players in the first year or two that they were out. Plenty of people wanted one, but only the early adopters bought them at that price. When the price came down a year or two later, more people picked one up. It’s very interesting for businesses, if there is good software for it. You don’t have to connect it to a PC which already limits the client in his/her movements (for showing concepts or whatever). And you haven’t seen the visuals yet of what these headsets are capable of. It is for the folks that want 6DOF tracking VR and a system that is about as complicated as a tablet. 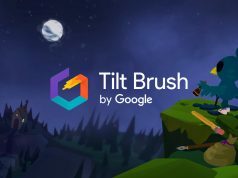 I do find the price point a tough sell, but the Daydream library is growing and if the Google Seurat technology can keep the promise and they get some sweet Star Wars content from Disney/ILM … those might turn into hot items. After all you do not need anything else! And you can do multiplayer in the same room. And who knows … they might add tracked controllers in the future and if they manage to compress lightfields we also might see some last minute PC streaming app that could turn it into a real killer device! But these aren’t 6DOF VR; they’re 3DOF VR–certainly the entire control part is only 3DOF–at a much higher price than the current phone-based solutions that basically offer exactly the same experience for all intents and purposes (and almost everyone that is even remotely thinking of buying a VR headset in the near future almost certainly already owns a smartphone already). I don’t really see the point in these half-way headsets to be honest. Personally, I’d rather these companies focused on making the proper high-end all-in-one solutions that everyone’s actually waiting for, rather than these slightly misleading headsets. Yes, but a slightly lower quality than the current 6dof tracking found in the likes of Vive and Rift, and with a much lower quality of tracking for any of the controllers, which is a huge part of modern VR experiences. I started with the Rift DK1 and DK2 with positional tracking was an insane improvement (though the low persistence was awesome too). I fully agree that input is still lacking – but there is time until release and we might get better controllers … Google isn’t stupid. I am very curious about the tracking quality of these headsets and it might be what makes or breaks them, but especially newer previews often are quite positive about the quality. I love the GearVR and what breaks it for me is having my head pinned to a position – if this adds it and otherwise is just a more advanced GearVR I might actually buy one despite owning a Vive! Potential is sky high for a networked portable compute headset. That also has on board Qualcomm DSP optimised for TPU / Halide work & connected to the cloud. Really impressive to see Tango / machine learning / big data all being brought together — that is the vision for tomorrow. This is for me. I have used all the VR things and I have a PC that can handle any device, but it comes down to convenience. I’d spend $600 if I can sit in my bed and watch hulu in VR – or teamviewer in and get some work done. It would be great to place some vr furniture in a room to decide if I want to order it. TBH, the rift, vive, hololens, and gear (although not as much) are all collecting dust at the company I work at. Simple is key, for me and the company I work for. Clients want simple too. We’re not too dumb to understand VR or to set it up, in the end it’s just too cumbersome. This is a very cool system, but times are very uncertain right now. There still isn’t a killer app on either the oculus or the vive, and having a new device, with probably a different os (android? ), will just make the market even more fragmented. Yeah, it looks like things need to iron out for the time being, but when gen 2 (or 3 for mobile considering stand alone 6DoF is practically a new gen) comes around, the tech and software will be far better and more mature. So a $700 walled garden? Google must really want to be the first to have the killer app. 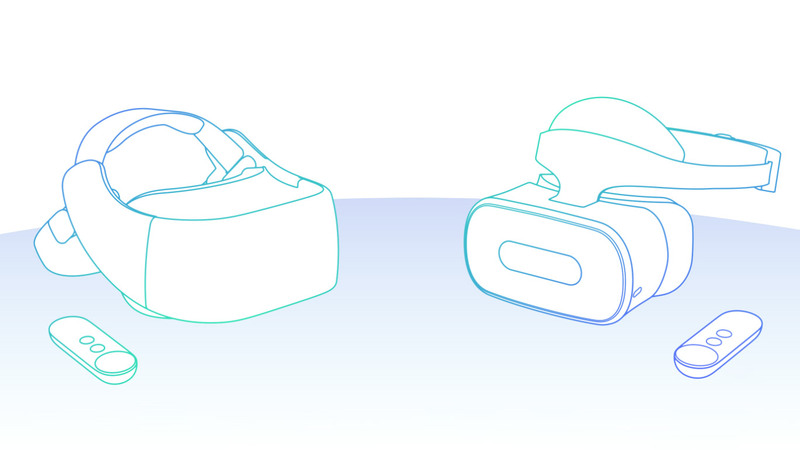 Google wants to own VR, like they own the rest of the tech industry and the internet. They’ve become what Microsoft was in the 90’s. But let’s be real – few will buy this at $700. Well, it could be $500 and still be in the ballpark of what the Rift/Vive cost. And while that’s pretty expensive it’s not crazy compared to other early generations of electronic equipment, like DVD and BluRay players. Not a ton of people will buy one at that price, but it could be a situation where prices come down reasonably quickly. Don’t be so quick to judge on the price of who will buy it, a lot of people are buying just as expensive smartphones and other crap. And who knows if the image quality and comfort are better than the Oculus/Vive then a lot of people might even forgo with the lesser visuals. And who knows if in the near future you can just also stream your PC to your headset so you can have even better visuals..
Who says walled garden? Last time I checked Android was still pretty open. This will only be good for mobile gaming and watching movies. Not for games that are on PC VR or even PS4 vr gaming. Yeah, bit most people don’t want to play Elite Dangerous or Project Cars, they want to do things like Ocean Rift, which it sounds like Daydream can run just fine. What if it is compatible with SteamVR streaming? I mean cmon, that would be next level! 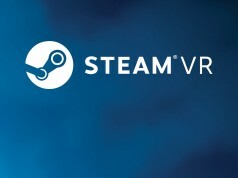 If it can run VRidge, then it can handle SteamVR. Native support would be even better though. Yes, that would be awesome for me because I have a beefy PC and like playing involved games. But it’s not necessary for the device to have mainstream acceptance. Way more people play light games like Candy Crush than graphically intense games like The Witcher series. If a VR device can be comfortable and affordable while allowing people to watch 360 videos and experiences and also playing some fun, not complicated games it wilk succeed. Of the actual games that I’ve had people play in VR, the ones that people really enjoy playing are Keep Talking and Nobody Dies and Lucky’s Tale, and neither are super high end games. While folks comment on this with regards to “inferior vr experience”, it’s probably helpful to look at what else Google announced today – specifically Seurat. I’m notoriously skeptical of VR (in spite of xR being the core of what I do for a living) – but that’s a general criticism, with regards to home-use VR. Untethered, standalone headsets are a nice step towards something that matters. I don’t think the gamer crowd realizes that they’re practically the only people on earth that still care about workstation PCs. Nearly everyone else has gone smaller or larger – and they’ve moved “larger” out from under their desks entirely or are on the verge of doing so, whether it’s to local datacenters or the cloud. The “VR Enthusiast” market isn’t a real market. It’s a tiny segment that no long-term-player cares about as anything but a testing ground and a placeholder for actual demand. Getting everything into the headset, moving some amount of rendering off the device entirely (environment lightfields rendered in the cloud) – that’s where the market is. Not in building another PC-connected headset. That’s still devkit territory, even if you can buy it at Best Buy. exactly, i think what google has here might be revolutionary and it might be the golden ticket once prices drop!! If you can use these as actual PCs too then I can see the point in these, but if they’re just dedicated VR headsets (with no proper PC functionality) with the portability of phone-based VR headsets but with worse tracking and quality than the likes of Vive and Rift, and at a much higher cost, then I don’t see the point of them. In fact, I think these kinds of half-between efforts, which aren’t strongest in either direction, are just potentially going to poison the well for everyone else. 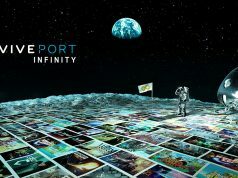 Many people will think they’re buying the cutting-edge of VR, which they will imagine has now gone truly portable too, when in reality they’re actually buying mobile phone quality VR experiences at a premium price, which aren’t a patch on the likes of Vive or Rift when all is said and done, and might be left slightly disappointed with where VR is at (particularly with the inferior tracking and control these half-way solutions are going to offer). Hmmmm, not sure how I feel about the price. I have both VIVE and RIFT (Plus GearVR, but that doesn’t count) and I don’t think I want to spend another close to $800 on a 3rd headset that won’t be able to play high games, so till Seurat comes out and a bunch of games are made using that software, i’ll try my hardest to pass on this. I just love being able to have portable VR on me so I can show anyone that is interested that hasn’t tried it yet, without having strangers come to my house! And GearVR without positinal tracking does not do VR justice. They fucked up on this one. The whole point of cardboard, and then Daydream, was to provide VR without all the fancy sensors but at a price anyone can afford. I’d rather just have daydream as it is now without all the inside out sensors for a reasonable price.